Water content is an important indication of vegetation health. 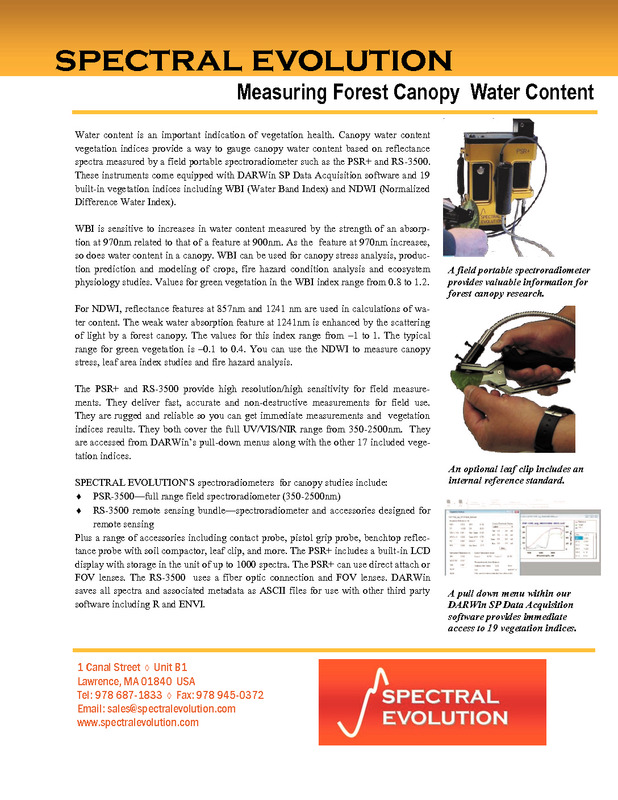 Canopy water content vegetation indices provide a way to gauge canopy water content based on reflectance spectra measured by a field portable spectroradiometer such as the PSR+ and RS-3500. These instruments come equipped with DARWin SP Data Acquisition software and 19 built-in vegetation indices including WBI (Water Band Index) and NDWI (Normalized Difference Water Index). WBI is sensitive to increases in water content measured by the strength of an absorption at 970nm related to that of a feature at 900nm. As the feature at 970nm increases, so does water content in a canopy. WBI can be used for canopy stress analysis, production prediction and modeling of crops, fire hazard condition analysis and ecosystem physiology studies. Values for green vegetation in the WBI index range from 0.8 to 1.2. 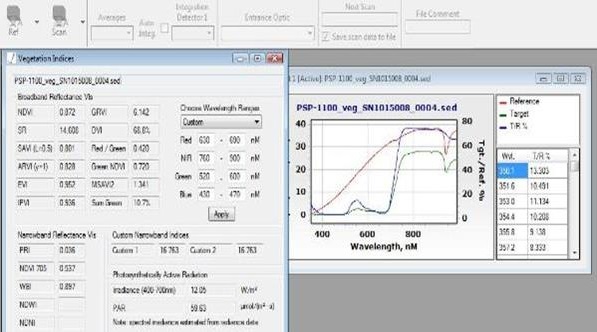 For NDWI, reflectance features at 857nm and 1241 nm are used in calculations of water content. The weak water absorption feature at 1241nm is enhanced by the scattering of light by a forest canopy. The values for this index range from –1 to 1. The typical range for green vegetation is –0.1 to 0.4. You can use the NDWI to measure canopy stress, leaf area index studies and fire hazard analysis. The PSR+ and RS-3500 provide high resolution/high sensitivity for field measurements. They deliver fast, accurate and non-destructive measurements for field use. They are rugged and reliable so you can get immediate measurements and vegetation indices results. They both cover the full UV/VIS/NIR range from 350-2500nm. They are accessed from DARWin’s pull-down menus along with the other 17 included vegetation indices. 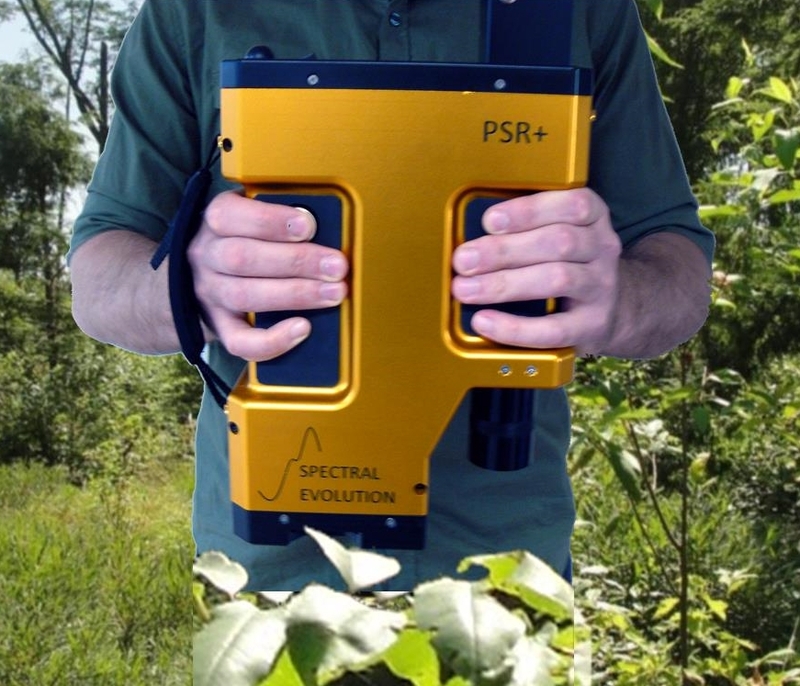 The PSR+ 3500 is a field portable spectroradiometer for remote sensing applications including vegetation studies. With DARWin SP Data Acquisition Software included, it provides instant access to 19 vegetation indices for your research. From the DARWin SP screen, the 19 vegetation indices including WBI and NDWI are accessed via a pull down menu.